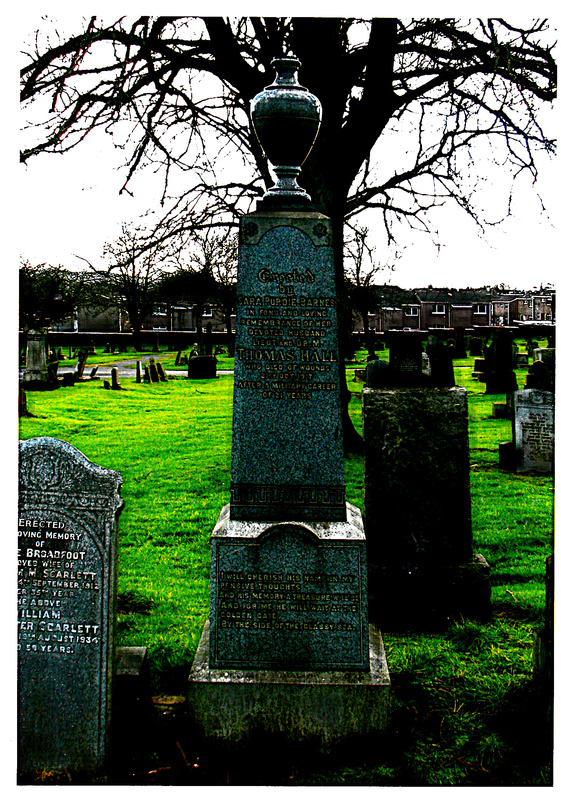 After I found the location of Thomas’ grave in Kilmarnock Cemetery on the Commonwealth War Graves Commission Website, I found that I could order pictures of his monument from The War Graves Photographic Project. In a short time, I received three 5 x 7 color photos of his grave and its place in the cemetery. The second picture was a close up of the monument inscription. 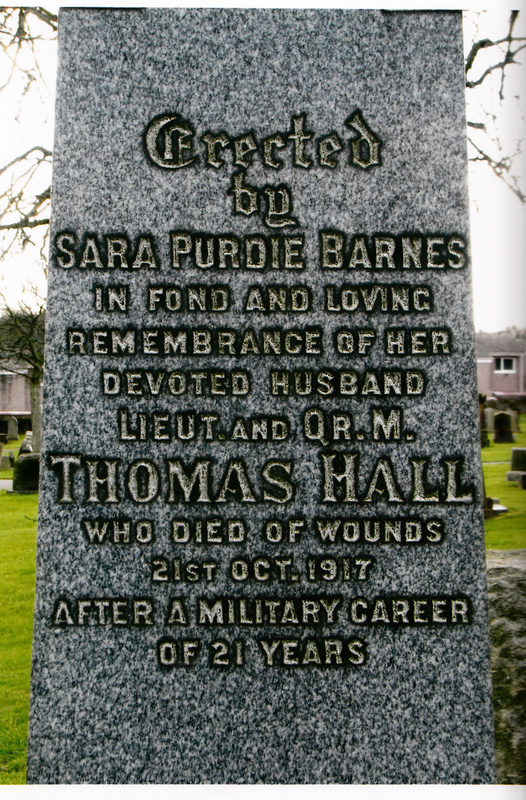 This inscription did tell me that Thomas was in the army for 21 years, so he must have enlisted as a private in the Highland Light Infantry in 1886 when he was twenty years old. 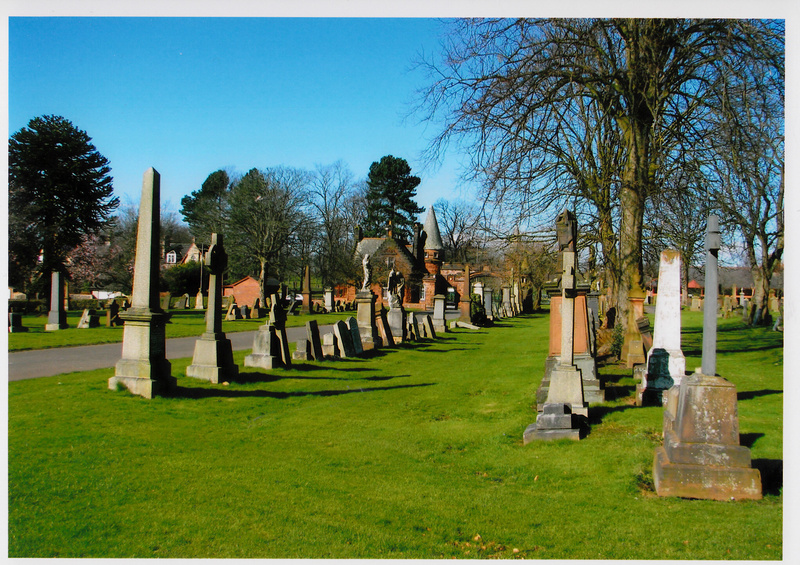 The third picture was of a road in the cemetery which I assume is in the section where Thomas is buried, although I can’t pick out his monument. The most touching part of the monument is the inscription Sarah chose for the bottom part. It is in smaller print, but I was able to transcribe it by enlarging just that part of the picture. By the side of the glassy sea. I am so glad I have these pictures. They add a loving, personal touch to the lives of ancestors I knew only as names, dates, and places.